﻿ Yummy 4th of July Dessert Recipe. Yummy 4th of July Dessert Recipe. This dessert is my contribution to our family’s 4th of July BBQ. Individual jello dessert with whipped cream on top; an easy and colorful recipe for the holiday. Can I get a what-what? This stuff is delicious. 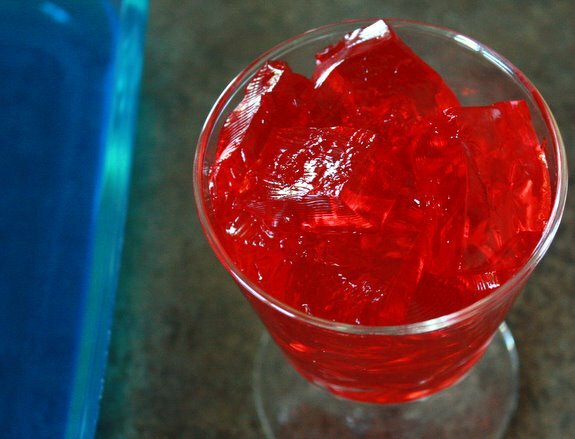 This jello recipe takes three ingredients, including water. You could do this in your sleep. Practically. 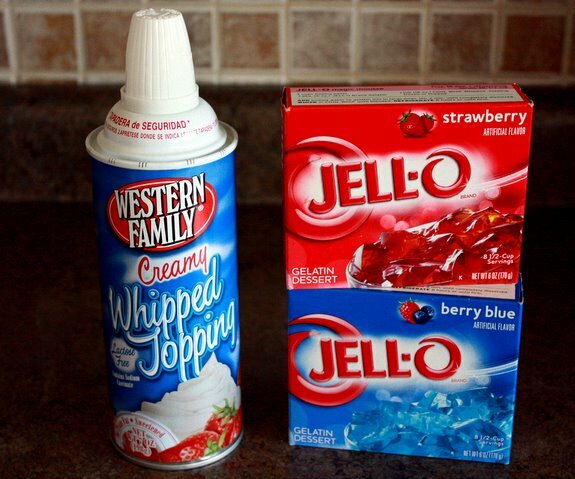 You’ll end up with one 9″ x 13″ pan of blue jello and one 9″ x 13″ pan of red jello. 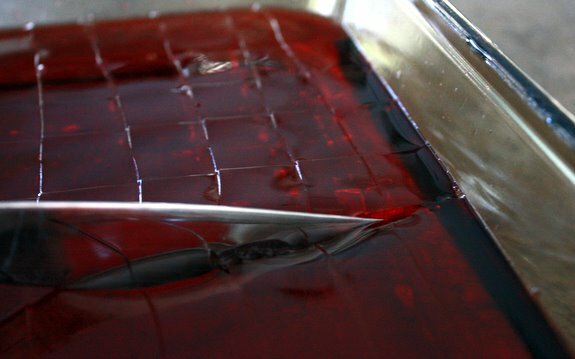 Slice through the jello with a butter knife in straight lines until you have individual jello cubes. 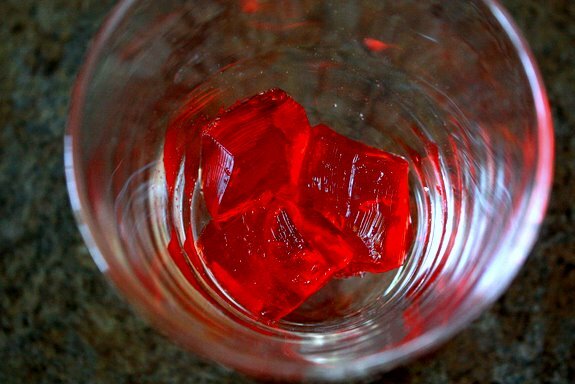 Scoop the cubes out of the pans & carefully place them into your dessert glasses. I had to use a spatula to get mine out all the way, and I had some casualties. The good news is that you can eat the defective ones. 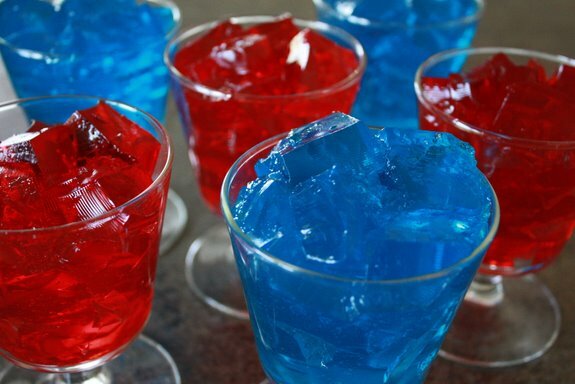 Fill half your dessert glasses with red jello cubes, and the other half with blue jello cubes. If you want to get super fancy you could even alternate red and blue. Now that’s fancy. Spray a little swirl of canned whipped cream heaven on top for decoration. It can’t hurt if a little makes its way straight into your mouth. I’ll never tell. Aren’t they pretty? Easy 4th of July Desserts with so little effort it hurts. In fact, your guests will be so enamored with your skills they’ll forget to check the trash for evidence to the contrary. << Justin Hackworth 30 Strangers Exhibit. So simple. Last year I made the red, white and blue jello squares and my children did’t like them. I should have stuck to something like this. My kids will eat this in no time flat, it’s a really yummy simple recipe, you should try it! I love these. I love those cups that it’s in. FUN! This reminds me of visiting my (now deceased) grandma. She always had individual jello or pudding cups for us kids waiting in the fridge. I like that she used to put fruit in the jello too. 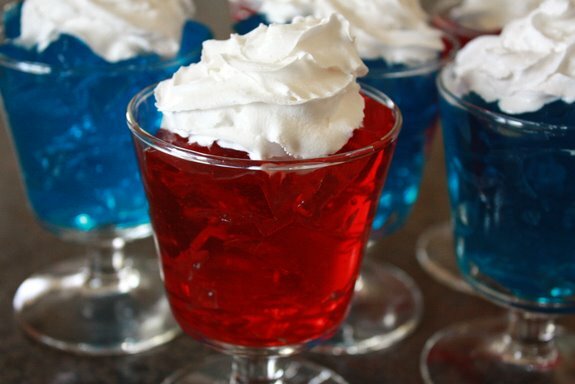 I can imagine some strawberries in the blue jello and blueberries in the red, just for the whole patriotic thing. Oh how sweet! That’s so much work for her grandkids; she must have adored you. omg, these are too cute! my lil ones will LOVE making these and the flag cake up top. too cute. They are so pretty all lined up in a row aren’t they? You have to make them and tell me how it all works out. Thx for this last minute recipe!! It’s 10:30 pm July 3rd and I’ve been racking my brain last minute for a festive dessert for a lunch-time July 4th family get-together for tomorrow. For someone who’s single and absolutely hates cooking, and in charge of tomorrow’s dessert (don’t ask why I volunteered), this is perfect since I already had a box of red jello and blueberries! So easy, convenient, refreshing, and most importantly, hardly any dirty dishes!THX!!!!!!!!!!!!!!!!!!!!!! I’m so glad you found it! It involves almost zero effort, and I’m so glad you have everything on hand. Easy, peasy.